No matter how well a travel itinerary is planned things sometimes go wrong. So it is important that you take steps where possible to protect your business in these circumstances. 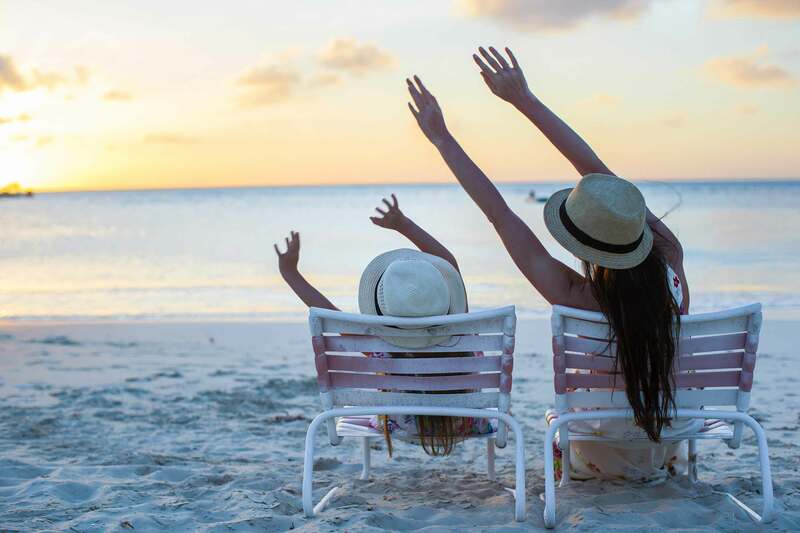 A combined liability insurance policy is often also a requirement of joining some travel associations, such as ABTOT, and should be considered alongside getting an ATOL licence. A combined liability policy will involve claims from your customers where you have legal liability imposed on you. This could follow an incident involving bodily injury or illness, or something less serious such as the non-performance of a contract, which could still prove costly. It has four sections: public/products liability, professional indemnity, employer’s liability and emergency assistance. t&g works with a select number of respected insurers and can obtain a tailored quotation for your travel business’s liability insurance needs. Once in receipt of the completed application form and supporting documentation, we will email it to the underwriters so terms are usually obtained within a matter of days, sooner if the enquiry is urgent. A quotation will be valid for 30 days. If the terms are acceptable, following payment, the policy documentation and certification will be obtained and sent to you. Before renewal we will review the market once more to ensure you are getting the right product at the right price. What is the intention of combined liability insurance? The intention of combined liability cover is to protect the policyholder from claims where they have a legal liability to their customers arising out of their business as a Tour Operator &/or Travel Agent, including ‘Organiser’ as defined by the Package Travel Regulations (PTRs). Why is the insurance policy known as combined? Public/Products Liability – This covers the policyholder in respect of costs for claims arising from death or injury to customers and damage to their property. Professional Indemnity – This covers the policyholder in respect of claims from customers who have suffered a financial loss caused by negligence or breach of contract by the policyholder. Employers’ Liability – This cover is compulsory for any UK employer under the terms of the Employers’ Liability Act 1969. It protects the policyholder from claims arising out of injury or illness to their employees in the course of their employment. The cover can sometimes be provided by an office contents policy instead so this section is optional. Emergency Assistance – This section provides cover (usually up to £5k per booking form) so that an organiser can give reasonable assistance if a customer suffers death from injury while taking part in an activity or an excursion outside of the booked holiday arrangements. The PTRs impose this obligation, as does the ABTA Code of Conduct. How do I obtain quotations for combined liability insurance? Please contact a member of the t&g team on 020 7065 5370. How much premium will I pay? This depends on the type of organisation being insured and the levels of cover. Again, this will depend on the type of trips being arranged and the passenger numbers. Most small-to-medium sized companies have levels of up to £2m or £5m for Public Liability. However, some Local Education Authorities ask for a minimum Public Liability level of £5m rising to £10m for larger companies. A quotation on levels up to £25m can be obtained. If I suffer a claim will there be an excess clause? Yes. The amount of excess will depend on the insurer, but you will see this clearly on the quotations. These excesses are sometimes negotiable for the larger operators. What liabilities could I face? The PTRs impose numerous liabilities on Tour Organisers, including liabilities for the actions of suppliers. This could involve claims for damages and compensation following the death or injury suffered by a customer, or perhaps for something less serious where there is an alleged negligence in the performance of a contract. The Department for Business, Energy and Industrial Strategy (BEIS) has a number of publications. These can be viewed on their website. I’m a Retail Agent. Could the PTRs still apply to me? Yes. The BEIS publications mentioned above explain why. It’s also worth noting that a Combined Liability Insurance is not restricted to the PTRs, so there is protection for other contractual liabilities. What can I do to help reduce my exposure to liability? A good starting point is to have appropriately worded booking conditions with customers and suitably worded contracts with suppliers. Being able to demonstrate good risk management procedures in all the booked arrangements will also help. If you need advice when formulating the documents it would be wise to contact lawyers who specialise in travel law. We have some contacts in that regard if you need them. Will an insurer recognise good risk management? Yes. Premium discounts can apply. I am bonded and so are my suppliers. Do I still need to consider liability insurance? Yes. Bonding is designed to protect consumers in the event of financial failure, whereas the combined liability insurance is aimed at protecting you and your business. This is why t&g makes liability insurance a compulsory requirement for clients operating the topp scheme. Other organisations such as The Association of British Travel Agents (ABTA), The Association of Independent Tour Operators (AITO) and The Association of Bonded Tour Organisers Trust (ABTOT) require the insurance to be in place as a condition of membership. Will combined liability insurance cover costs caused by financial failure? No. There is a specific exclusion relating to financial failure of the policyholder or any supplier. If I suffer a financial loss by making a mistake on a booking will I be able to make a claim? No. As mentioned above, the policy protects you from claims from customers where you have a legal liability to them.